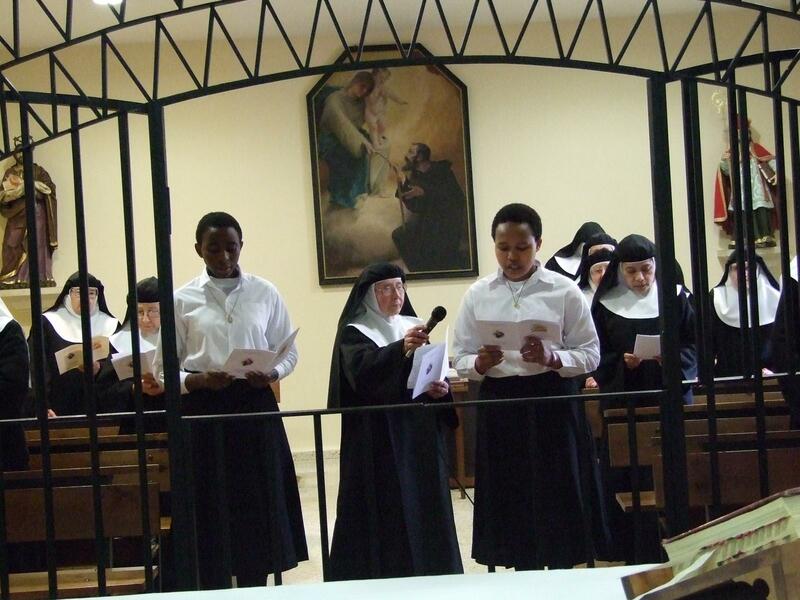 OAR PSNT - Gema María, an Augustinian Recollect contemplative nun: “Sharing everything with my community helps me to grow in all aspects of life”. 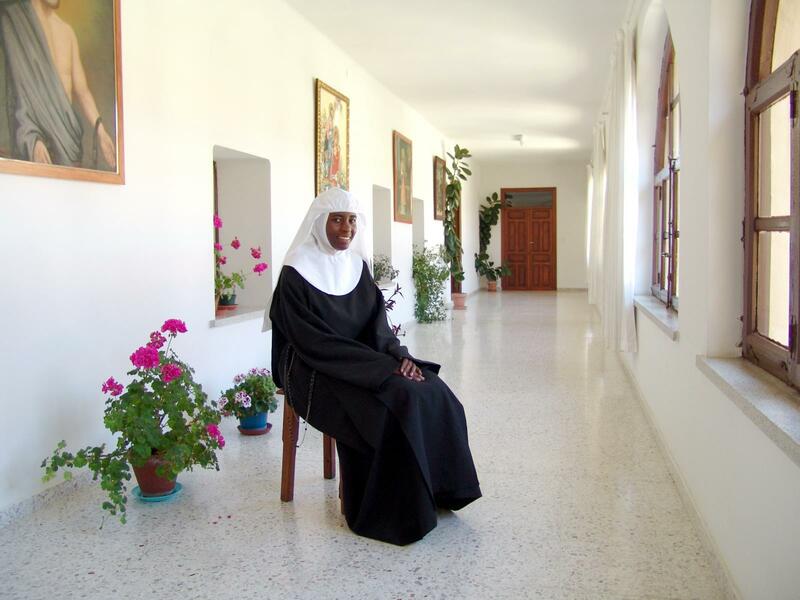 Gema María, an Augustinian Recollect contemplative nun: “Sharing everything with my community helps me to grow in all aspects of life”. 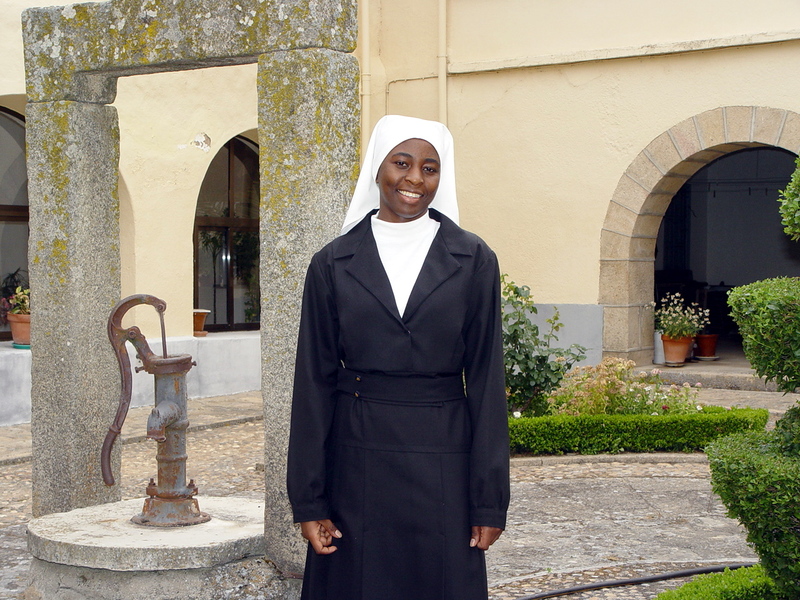 In the Augustinian Recollect monastery of Saint Toribio in Vitigudino (Salamanca, Spain), we met with sister Gema Maria Saizi, who is originally from Tanzania (Africa), and who made her solemn profession on February 2 of this year. We have asked her to share her life and vocational testimony. How would you present yourself to our readers? My name is Gema María of the Blessed Trinity; I am 26 years old; my parents are Anthony Saizi, who passed away three years ago, and Aurelia Revelian, who lives is Kagera (Tanzania). I am the youngest of nine: 4 boys and 5 girls. I was born in Kagera-Bukoba (Tanzania, Africa) and lived there until I was nine. Then I went to live in Kilimanjaro-Moshi, with my mother´s sister. My aunt was a widow and had no children so she adopted me as her own and I lived with her until I came to Spain. All my family is catholic and faith is a very important part of our lives. I was active in my local parish as a member of the confraternities of the Blessed Virgen and the Sacred Heart, I also participated in the charismatic renewal movement and the parish youth group. I also completed my middle school studies during this time. Christianity is relatively new in Tanzania, it started in the mid 19th century. Half of the population where I lived was Muslim. Our communal living with Muslims was peaceful and we would go to school together. 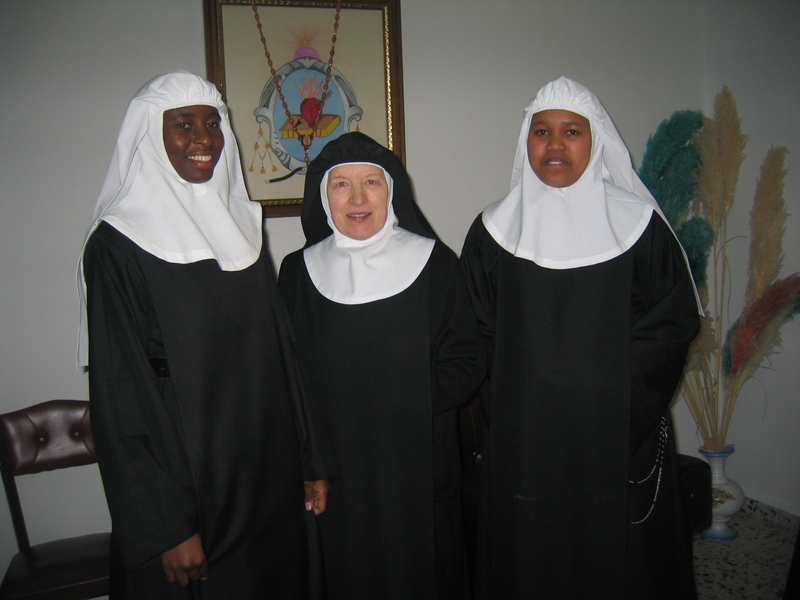 What has been your personal history and vocational discernment until now that you are a religious cloistered nun? — I started to love Jesus when I was around your age. These words have stayed with me since then and I started to question myself if my love for Christ was sincere. Since that day, my greatest desire has been to love Jesus with all my heart. — Nuns are not human like you. Those words did affect me and the desire to become a nun started to fade away taking me to concentrate on the things of this world. But the idea came again when I did my first communion, I again rejected it. One Saturday coming out of Holy Mass, I greeted our pastor, Fr. Apolinar Kiondo, who openly asked me if I wanted to be a religious sister, I responded I had not shared this with my parents and he insisted: “But, do you want to be one?” I remained silent while he continued greeting other parishioners who were there waiting. My heart was anguished as I left, and outraged at father asking me that question. All I was left with for the rest of the day was sadness and restlessness in my soul. 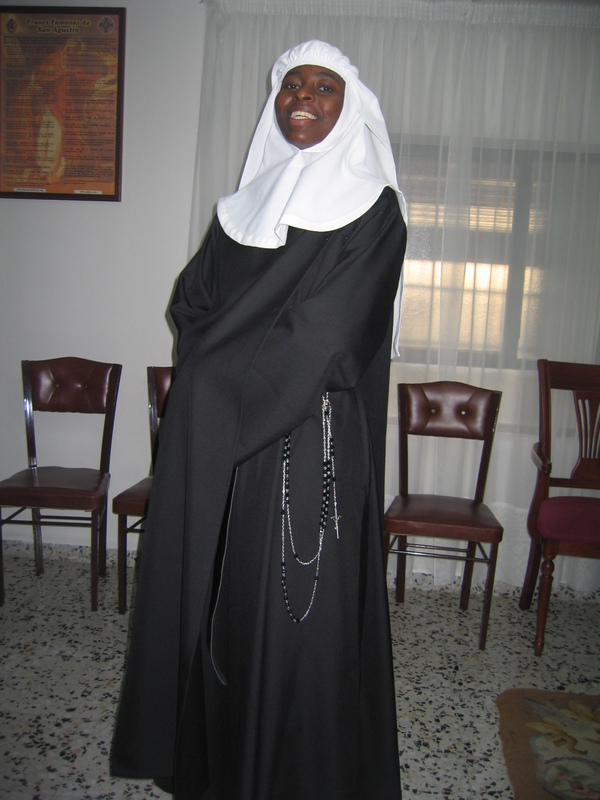 I was sure my vocation was the religious life. I sensed it was my obligation to pursue this way of life. I mentioned I was saddened by this because I was so into the world´s vanities and pursue a career, have a job, help my parents and be an important person in society; I had no peace. For consolation I would tell myself: “I will be a religious sister but after helping out my parents and enjoy life a bit”. Then came a charismatic renewal congress in which God shed light over my vane desire to follow my worldly dreams. 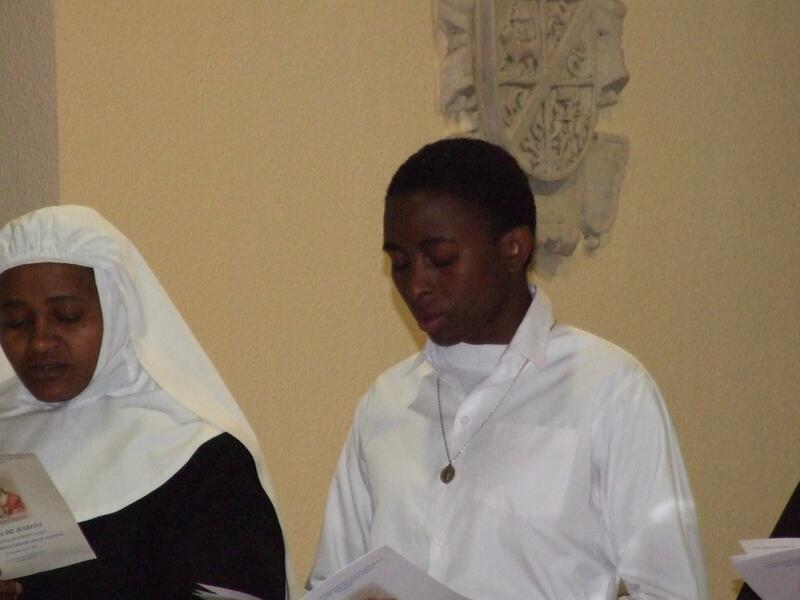 My soul started to disgust all that belonged to this passing world and love what belongs to God; I decided to leave everything behind and pursue my religious vocation no matter the cost and without giving a step back. So I started to see where God wanted me to be. 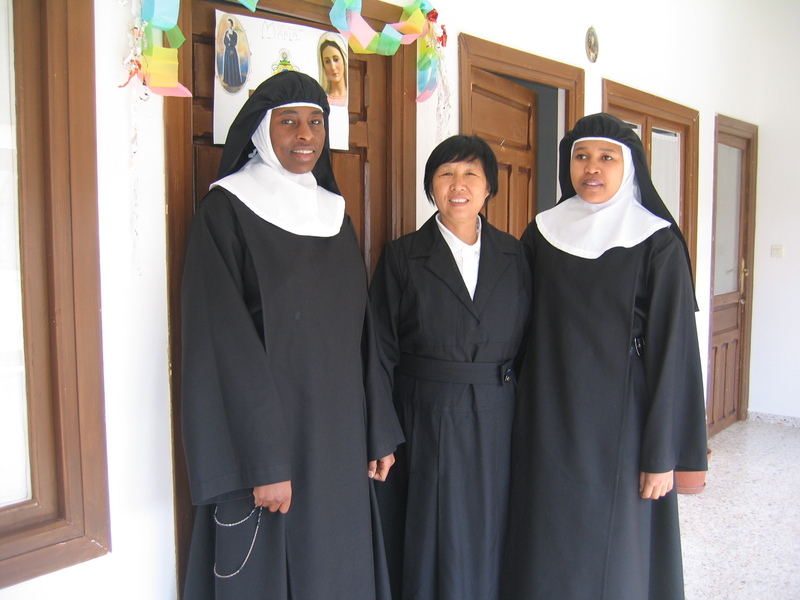 I started seeking what the religious life had to offer in my own country, but found no satisfaction in the missionary religious life; I sensed a lack of prayer in that missionary active religious life. — Do you think I could make it in the contemplative way of life? 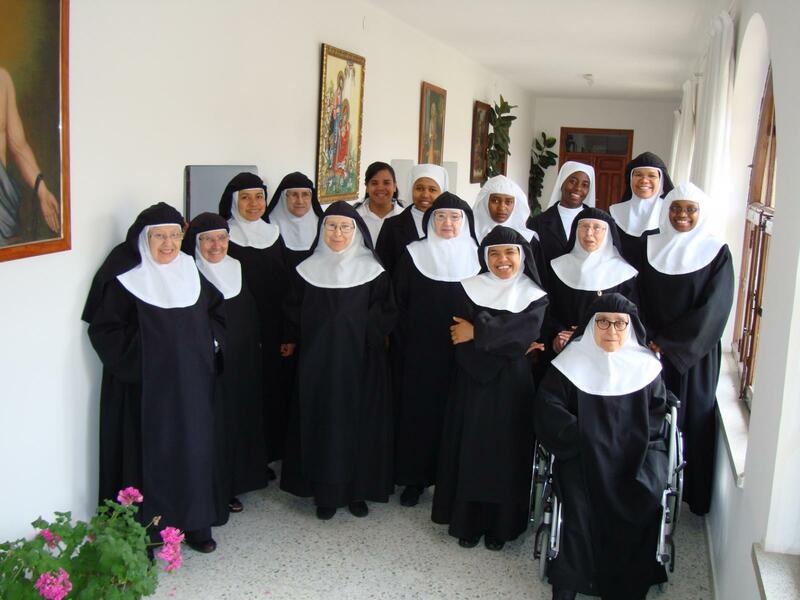 We started to look for a convent with this type of life in my own country. He didn´t know of one, so he guided me to Fr. Mateo Munishi, director of the seminary and vicar to the religious in my diocese, and he knew about a convent but outside Tanzania. He showed me a photo of the community of contemplative nuns in Vitigudino and I started a vocational process with him in the seminary. I lived in the seminary for a year helping the religious community in the kitchen, sharing in their moments of prayer and all the work they had. 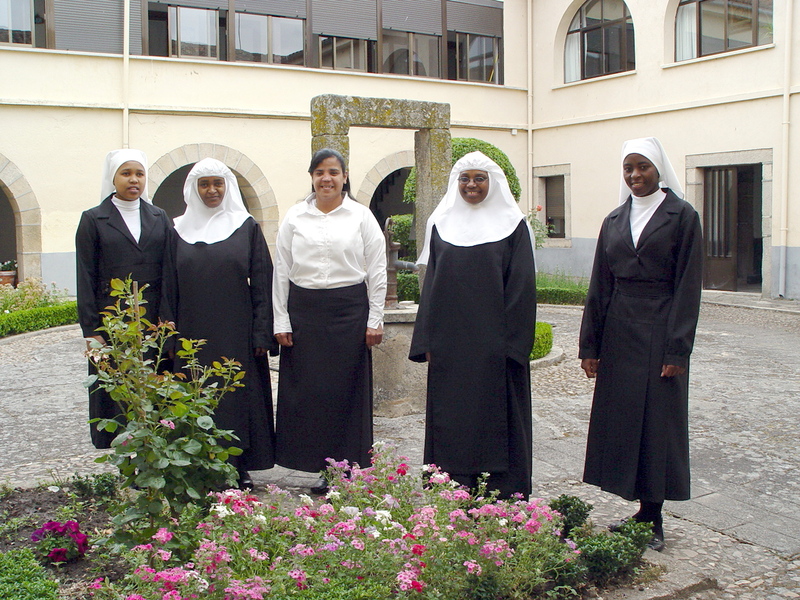 Then we started working on all the legal paper work to travel to Spain and on the 14th of December, I entered the convent of the Augustinian Recollect Nuns in Vitigudino as a candidate. 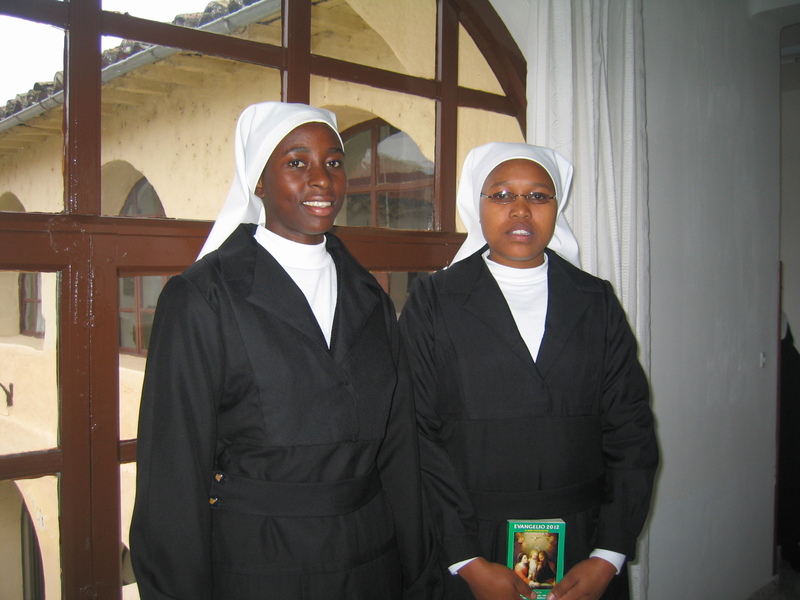 There I met two other religious tanzanian sisters. 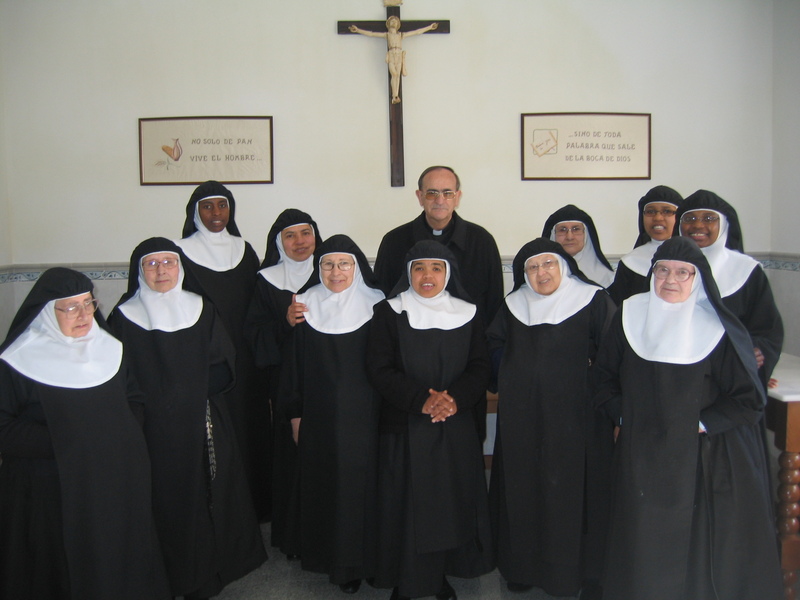 What other persons, circumstances and things have helped you to discern in your vocation as an Augustinian Recollect sister? Fr. Apolinar and Fr. Mateo Munishi were very helpful. And I must not forget the example and faithful support of my fellow parishioners, especially those that belonged to the same parish groups I belonged to. Reading the Bible has also been a great support in my vocation, especially texts like Matthew 16,24-26 and 19,10-12– and from the letter of Paul to the Corinthians 7,32-35. The life of saints have also inspired me, such as Gema Galgani, Therese of Lisieux, María Faustina Kowalska, Gertrudis la Magna, Margarita María Alacoque… and most recently, the mystical life of our founder, Mariana de San José. 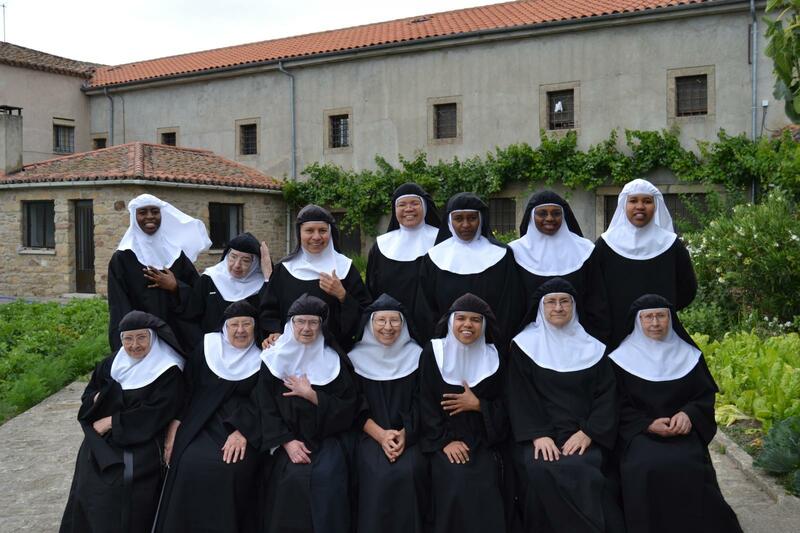 All great contemplative nuns. 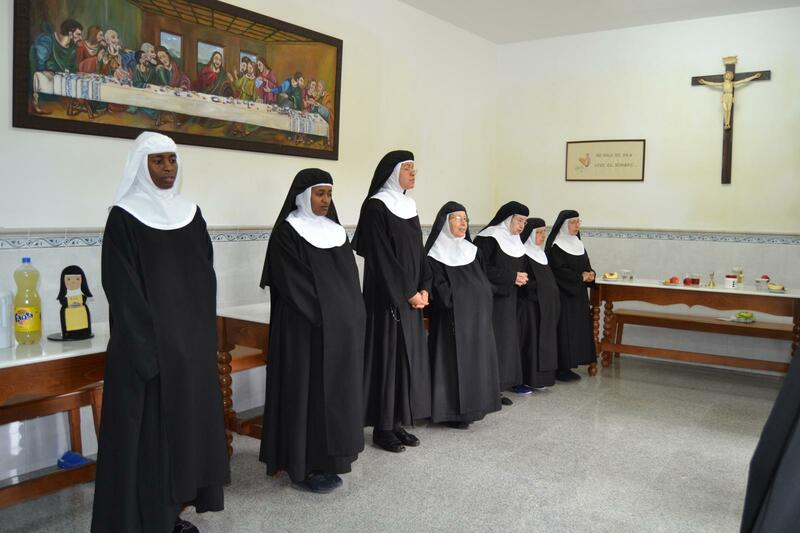 Here in Spain, my novice master, my superiors and my community sisters have been a great inspiration with their example of prayer. Sharing it all with them, has helped me grow in many ways, especially spiritually. Any difficulties in this process? All types. One of the challenges comes from coming from a totally different culture, the language barrier, different customs. At the beginning it was tough to adapt to this new way of life, but thanks to God, and to the good advice from others, I have been able to persevere. The most difficult part was to understand and make myself be understood. 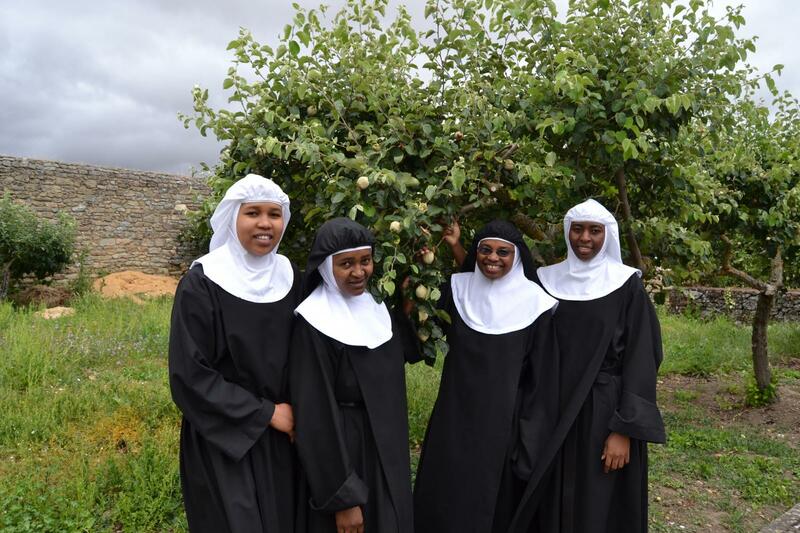 Thanks to the help I received from my two other Tanzanian sisters, I was able to learn Spanish quicker; I was fast in joining the community in prayer and song. I´m even learning to play the organ which is so important for us who sing most of our liturgical prayers. 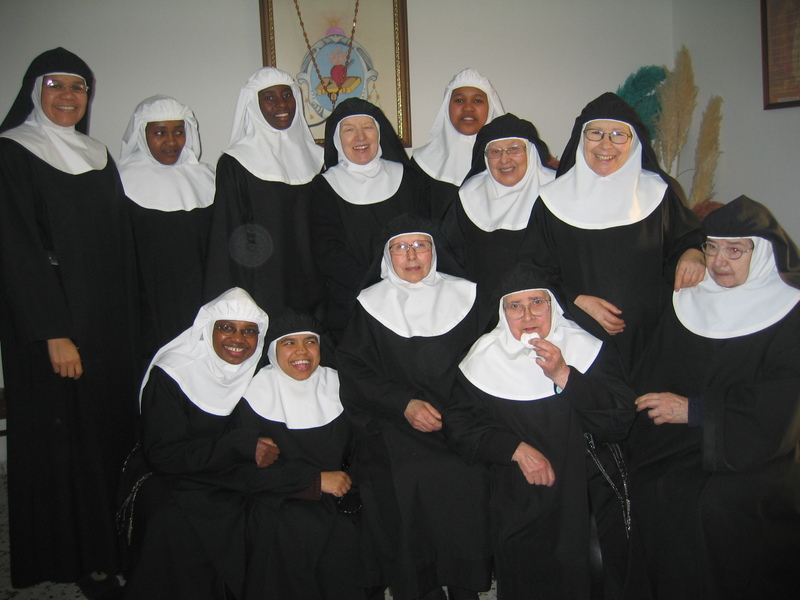 In general, all the work that is done in our convent has not been too much of a challenge for me. 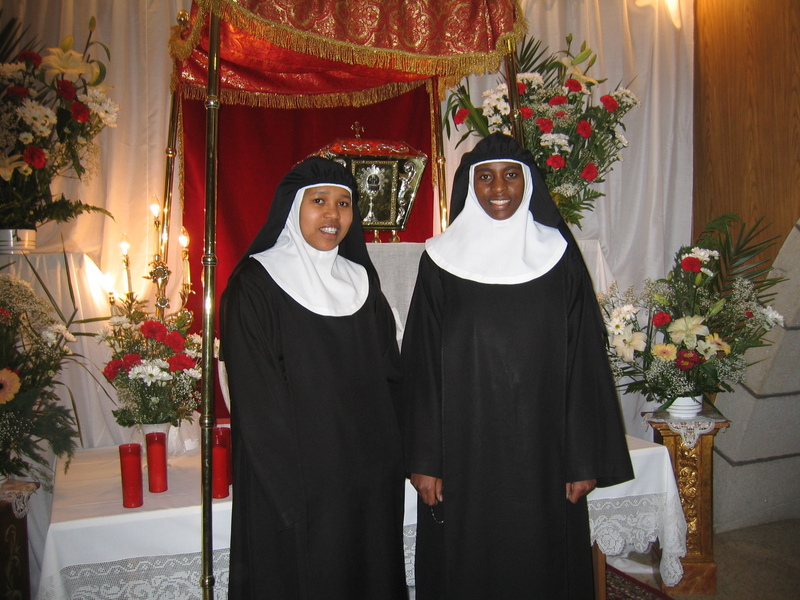 I have learned to sow and embroider to directly help in what is our monastery´s most important income. In what pertains to my spiritual life, all I can say is that I am profoundly happy with the many hours I have to be in prayer with Jesus, which is something I greatly desired. 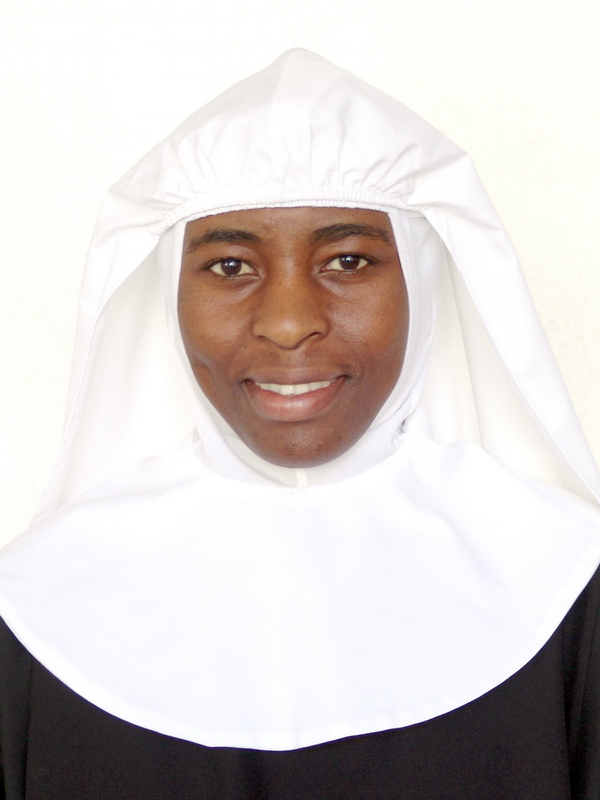 Why an Augustinian Recollect contemplative nun for life? I feel this is what God wants for me. I feel this desire to be in this intimate relationship with our Lord; be with Him not only in prayer but live for Him in my everyday chores, my moments of rest, when I’m with my religious community. I want to help in repairing so much harm we humans have done to the suffering heart of Jesus. 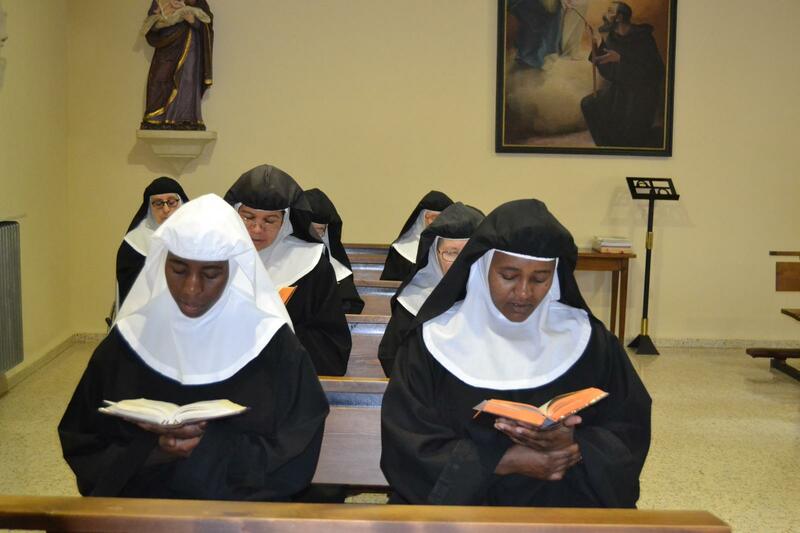 The community life in the Augustinian Recollect life and faithful to what St. Augustine desired, through a life of prayer, communal life… this has been the most important thing for me and it has profoundly defined me. The always desired ideal of “living in unity with one soul and one heart in God” is a strong incentive in my life. Our Blessed Mother is also a great force in my determination: Be like her; live my life hidden in an intimacy with God and with my religious sisters, in the mission to help the Church and all of humanity with our humble prayers and sacrifices. All united in one soul and one heart in God.